It’s late at night. Finally, you get a chance to relax before going to sleep. You decide to check your LinkedIn feed for clues of the next day’s business challenges. Suddenly, a voice booms over your speaker, “Oil prices have risen for the third day in trading…” and you get a look from your spouse / partner that can burn through coal, occasionally followed by a pillow to the head! Allow me to spare any arguments with this LinkedIn tip. 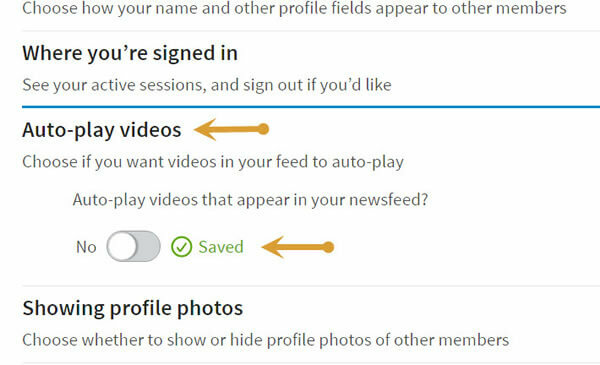 You have been a victim of the new LinkedIn auto-play feature. The feature that saves you the eternity of clicking a video you want to watch, by playing EVERY video in your newsfeed for you – without even asking. Yes, many of us have experienced this gift of technology at non-ideal moments. If you would like to choose what videos are played, I have a quick and painless solution for you. 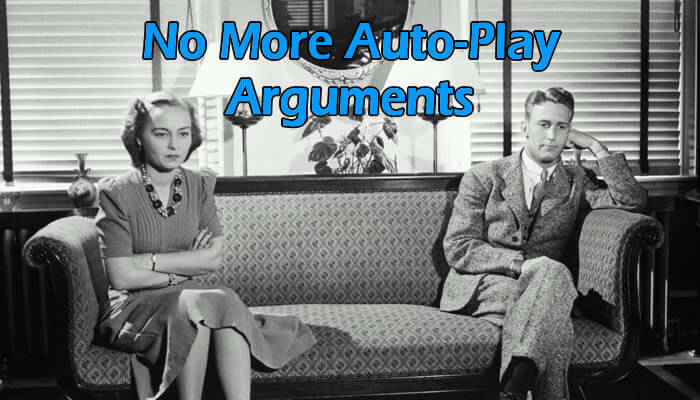 We can turn off the well-intentioned auto-play feature in a mere two clicks. Unlike in most Social Media websites, this is super easy. 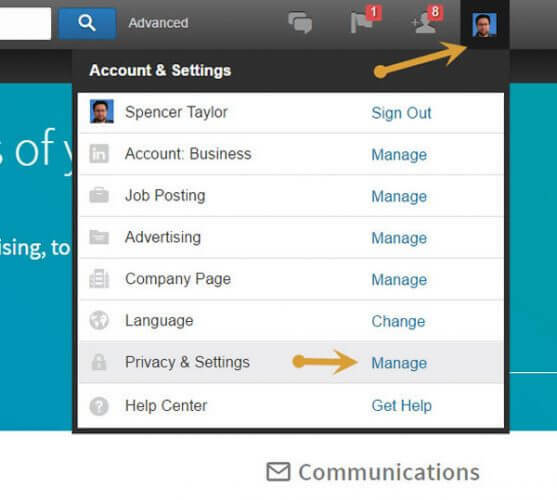 Click on your Profile Photo in the upper right-hand corner of the navigation and click Manage under Privacy and Settings. 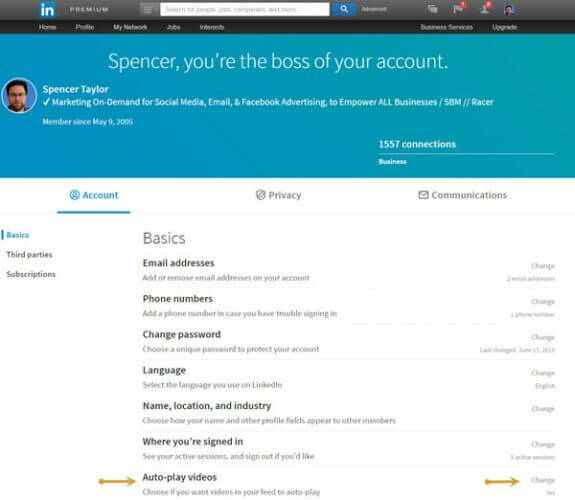 You will now see the redesigned LinkedIn account settings page. This may be the cleanest, easiest to use, settings page I’ve seen yet. You will see the switch change to green.